A valid credit card is required for all reservations. 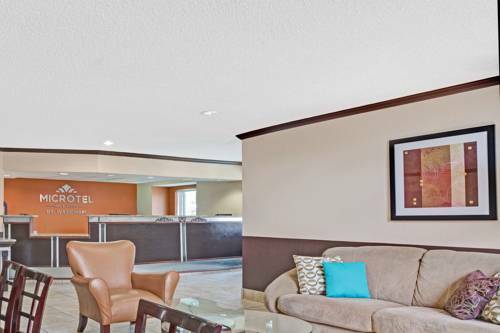 Relax at the enjoyable Microtel Inn and Suites by Wyndham Houston hotel conveniently located just a short drive from downtown Houston. Explore the space control center at Space Center Houston just across the street, or go to Kemah Boardwalk for high speed rides, concerts, animal exhibits, food and fireworks shows. Spend a day swimming and sailing at Galveston Beach, or take a safari tram to see exotic animals at Bayou Wildlife Park. Enjoy modern comforts at affordable rates at this lodging with complimentary parking and an outdoor pool. Wake up to complimentary continental breakfast with hot items, and stay connected with complimentary wireless Internet access. Comfortable guest rooms include work desk, coffee-maker and TV. Suites, smoke-free and handicapped-accessible rooms are also available. There is no charge for children 17 and under with an adult.